In 1548 Cecil became Somerset's private secretary. 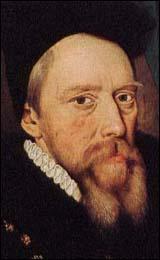 (7) Somerset was a Protestant and he soon began to make changes to the Church of England. This included the introduction of an English Prayer Book and the decision to allow members of the clergy to get married. Attempts were made to destroy those aspects of religion that were associated with the Catholic Church, for example, the removal of stained-glass windows in churches and the destruction of religious wall-paintings. Somerset made sure that Edward VI was educated as a Protestant, as he hoped that when he was old enough to rule he would continue the policy of supporting the Protestant religion. During the early part of the 16th century large numbers of farmers changed from growing crops to raising sheep. This involved enclosing arable land and turning it into pasture for sheep. Sheep farming became so profitable that large landowners began to enclose common land. For hundreds of years this land had been used by all the people who lived in the village. Many people became very angry about this and villagers began tearing down the hedges that had been used to enclose the common land. Popular rebellions and riots began in the west of England in 1548 and spread through more than half the counties of England over the next few months. Some of those involved demonstrated against Somerset's religious programme. "The new vernacular liturgy contained in the Book of Common Prayer was the most evident grievance of the Cornish rebels, but the other religious changes of recent years and opposition to enclosures were also important. Revolt began in Cornwall in April 1548 when the clergy and commoners resisted the removal of religious images from parish churches and killed a government official, while in Somerset weavers and other commoners pulled down hedges and fences." Edward Seymour urged compassion and on 14th June 1549, he persuaded Edward VI to pardoned all those people who had torn down hedges enclosing common land. Many landless people thought that this meant that their king disapproved of enclosures. All over the country people began to destroy hedges that landowners had used to enclose common land. On 10th July 1559, King Henri was killed by Gabriel Montgomery during a tournament. Mary's fifteen year old husband became king of France. This development caused concern in England and urged on by William Cecil, Queen Elizabeth ordered an English fleet to cut the sea link between Scotland and France. 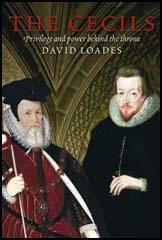 According to Leicester's biographer, Simon Adams: Robert Dudley's peculiar relationship to Elizabeth began to attract comment. This relationship - which defined the rest of his life - was characterized by her almost total emotional dependence on him and her insistence on his constant presence at court.... It also helps to explain his separation from his wife." 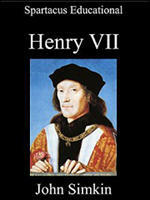 (40) Elizabeth gave Leicester land in Yorkshire, as well as the manor of Kew. She also gave him a licence to export woolen cloth free of charge. (41) It is estimated that this was worth £6,000 in 1560. In 1566 members of Parliament tried to force the Queen into action by discussing the subject in the House of Lords and the House of Commons. Elizabeth was furious with Parliament for doing this. She made a speech where she pointed out whether she got married or not was something that she would decide. She added that for Parliament to decide this question was like "the feet directing the head". 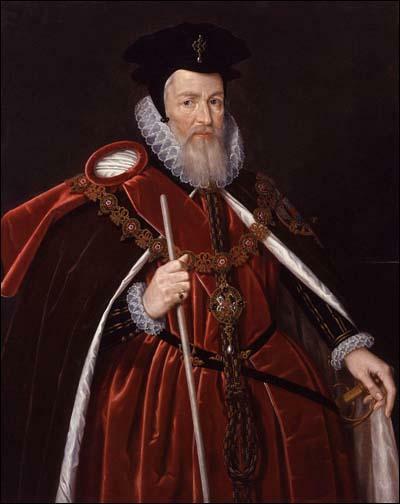 During this period Philip II identified William Cecil as his main enemy in court. He wrote to his ambassador in England, Ruy Gómez de Silva: "I avail myself of the occasion, to tell you my opinion of that Cecil. I am in the highest degree dissatisfied with him. He is a confirmed heretic and if with Lord Robert's assistance you can so inflame matters as to crush him down and deprive him of all further share in the administration, I shall be delighted to have it done." Ridolfi received through Ross a paper of detailed instructions agreed on by Norfolk and Mary Queen of Scots. This empowered him to ask the Duke of Alva for guns, ammunition, armour and money, and 10,000 men, of whom 4,000, it was suggested, might make a diversion in Ireland. Ridolfi went to Brussels, where he discussed the plan with Alva. He then wrote to Philip II warning against a serious war against England: "But if the Queen of England should die, either a natural or any other death" then he should consider sending troops to put Mary on the vacant throne. (58) The Ridolfi Plot was ill conceived in the extreme and has been called "one of the more brainless conspiracies" of the sixteenth century (59). Walsingham had Throckmorton put on the rack. During the first two sessions he courageously refused to talk. He managed to smuggle a message out to Bernardino Mendoza, the Spanish ambassador, written in cipher on the back of a playing card, saying he would die a thousand deaths before he betrayed his friends. However, on the third occasion he admitted that Mary Queen of Scots was aware of the plot against Elizabeth. He also confessed that Mendoza was involved in the plot. When he finished his confession he rose from a seat beside the rack and exclaimed: "Now I have betrayed her who was dearest to me in this world." Now, he said, he wanted nothing but death. (82) Throckmorton's confession meant that Walsingham now knew that it was the Spanish rather than the French ambassador who had been abusing his diplomatic privileges. William Cecil... a young man, indeed, but mature in wisdom, and so deeply skilled, both in letters and affairs, and endued with such moderation in the exercise of public offices, that to him would be awarded... the fourfold praise: "To know all that is fitting, to be able to apply what he knows, to be a lover of his country, and superior to money." I give you this charge that you shall be of my Privy Council and content to take pains for me and my realm. This judgement I have of you that you will not be corrupted by any manner of gift and that you will be faithful to the state; and that without respect of my private will, you will give me that counsel which you think best and if you shall know anything necessary to me of secrecy, you shall show it to myself only. And assure yourself I will not fail to keep taciturnity therein and therefore herewith I charge you. He (Lord Burghley) worked through a group of economic advisers: officials in the treasury seconded for this purpose, London merchants, or freelance middlemen such as William Herle or Armigail Waad, men with contacts abroad. Burghley made use of these men both as contacts with likely projectors and as intermediaries who reported not only on the technical feasibility of the scheme but also on its effects on existing markets, on royal revenue, and on employment. In these matters he was meticulously careful, often withholding approval when he was not satisfied on one of these points. The introduction of woad, for instance, a commodity imported from Portugal with the encouragement of the government, aroused concerns about loss of customs revenue, labour shortage in traditional employment, and the exhaustion of the soil. Burghley sent an agent to investigate on the scene, who communicated with local JPs about the problem. He even received a treatise on the subject before finally establishing a licensing system to control the situation. Burghley used other methods to promote change in the economy. He backed legislation to secure the transport of imports and exports in English shipping, while another act promoted the fishing industry and increased the number of seamen available to the navy. Proclamations encouraged the growth of new crops such as hemp or flax which increased tillage and employment of labour, and by securing a home-grown supply diminished imports. Considerations of national security played a major role in his actions. He had a vigorous interest (and personal investment) in mining, especially iron. Hemp and flax had naval uses; shipping and fishing had obvious importance for the same reason. Besides items directly connected with security there were other commodities, such as salt, necessary to the economy, which might be cut off in time of war. Items of a more general nature such as glass-making and new cloth-making processes were also favoured. The draining of the East Anglian fenland occupied Burghley's attention over a period of years when he was called in to mediate the quarrels between the inventor of a new pumping system and the local inhabitants.